My boyfriend always laughs that he hasn't eaten anything hot from the oven in over two years. I feel so bad about it but it's just what bloggers gotta do. Love the small plates options at P.F. Changs! We have one opening up about a mile from my house.. i cannot wait to go.. i love all their food! Yay, and you'll love all the new menu items. Totally true- my husband has hopped on by helping me for #diditfortheblog. The other day we took my inlaws out to dinner and he stopped them from touching the food (I was in the restroom) until I could get some pics! Yay, such a good husband. Wait, that makes him sound like a dog. Nevermind. But I am glad he is so supportive. Man I wish we had one here! Their food always looks so amazing! Oh my goodness I absolutely love PF Chang! It is so good!! Thats a major meal but PF Changs can sure make an uber tasty one. Looks amazing and looks like you really enjoyed! Yeah it's great to meet and greet with people behind the screens and personally. It's a different feeling to be able to reach out to others and make connections in the flesh. It's been at least 15 years since I've been to one, there are none near my house. I will have to see if there is one when we go on vacation. WAAAAAAAHHHHHH WAAAAAAAAHHHH!!! I wish I could have gone with y'all!!! When are we going on our trip so that we can #doitforyourblog!!! hahahahahahahaha I am so funny!!! 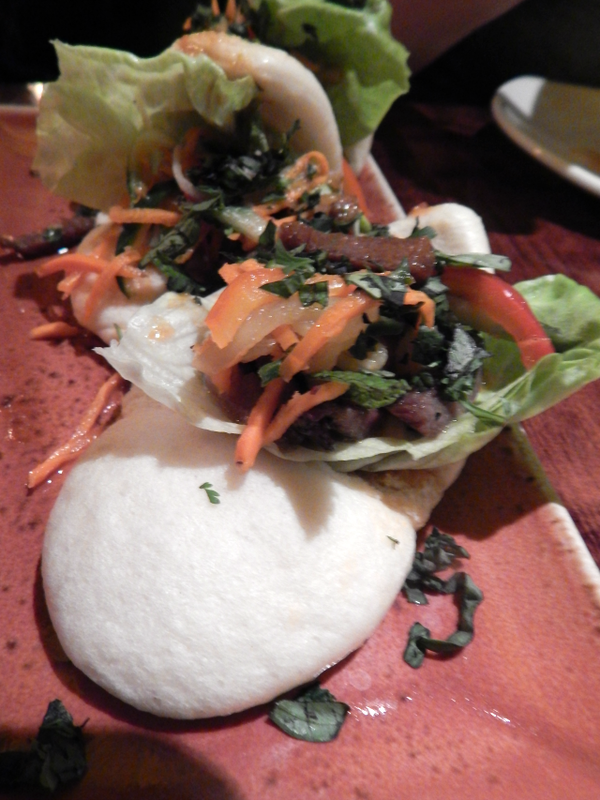 We love PF Chang's too and wrote our own article about it on FamiGami a few weeks ago. The food at yours seems different though! Hmm, interesting. I'll have to check it out. Those drinks look great! I love a well made cocktail! Love the entries. The food looks yummy! I don't know PF Chang's and does the restaurant also available in our countries? Haha - love the #Diditfortheblog my boyfriend thinks its weird that I always have to take pictures of the food before I eat it but that's just how I roll! amazing food shots. You should def enter some food photography comps. I find it so weird yet awesome when people find out that I blog...or when I run into people who recognize me from my blog. I was part of a show and I had people attend who followed my blog that I didn't even know of. They came to watch me! I will admit that I've never been to a PF changes but we do have similar restaurants in our city. Oh those tacos look so good. The closest PF Changs is about 200 miles from me, but I did enjoy it years ago when they first opened the Scottsdale area. There was a weight a mile long outside the doors. We don't have Pf Changs here but those mouth watering photos of foods make me wish that they will open here locally soon. I have never eaten at one of their restaurants but have tried the cook at home stuff in the grocery store. I have always wanted to and as we plan our next vacation I will check to see if there is one where we are going since there aren't any locally! food looks great! BAM! again. http://www.pfchangs.com/locations/Locations.aspx Now I'mma have to look up the cooked "stuff"
I have never been to PF Changs but wow everything looks so good! My kids are also accustomed to the doing things for the blog. lol My hubbie has yet to get on the blog train but I see him wavering. You got some really superb photographs there! I think everything looks great. ok, so your disclosure had me laughing. We love PF Changs and their new menu looks great. Yay , Laughing is good for the belly. Plus why not be honest. The company and my reader will appreciate it and me more. Girl now this is eating! I love me so PHC and I'm dying laughing over your disclosure hon. Yay and yay to everything. You know I like the funny. And it was good eatin'. I told bestfran she could order whatever she wanted as long as we tried two things from the list they provided but she was all #Diditfortheblog and tried everything. Fantastic hashtag and I am going to borrow it! Thanks for sharing this fun post. Do it and do it. Cute post.....did you have trouble finding parking? Seems like every PF Chang's diner always suffers from small parking lots. I live 2 hours from one, and you are making me want to go there. UGH, All of that looks so amazing! I was hungry when I started to read this but now I really am hungry! haha Thank you for sharing!! !